The Foxin Wins video slot is undoubtedly one of NextGen Gaming's most popular games to have ever been released. The developer went a step further of releasing its sequel and a scratch version! The game is inspired by a wealthy Mr. Fox and NextGen Gaming have used stunning graphics to make it more attractive and fun to play. The reels in Foxin Wins slot are set against a cool backdrop of a calm sea. There are also pups which will turn your symbols into wilds. This game is played on a pattern of five reels, three rows, and 25 fixed winlines. The symbols used in the game are a combination of the standard deck cards and different images of Mr. Foxin's expensive lifestyle. Mobile gamers don't have to worry since Foxin Wins slots is fully optimized with the latest cutting-edge technology to enable it to fit on small screen devices like tablets, mobiles, and desktops. Also, you can choose to play for fun or real money at any recognizable online casino site. One of the interesting aspects of this game is the leprechaun who will keep causing trouble until Mr.Fox arrests him. The theme in Foxin Wins slot is of Christmas, but the foxes have taken the character of people. The foxes are depicted to be typical aristocrats going by their lifestyle. You will see them wearing the red Santa clause hats as they drive red Porsche cars. The game is also decorated with pots of gold, a mansion, Christmas trees, and rolls of money and much more. Mr. Fox will try to lure to his life where everything is gold with gems popping from everywhere. What's fascinating about this slot game is the 3D animations and the sleek interface. When you choose to play Foxin Wins video slot; you will be provided with five reels and 25 fixed possible win lines. The game control settings are easy to find and use. The minimum bet for this slot game is $0.01 and a maximum of $2. Unlike common slot games, NextGen Gaming used room items in the place of icons. For instance, the Spin button is marked by a pillow while the crystal ball is the autoplay feature. Regardless, you choose to use the Super Bet feature or not; you will bet starting from 25p to $100 a maximum per bet. 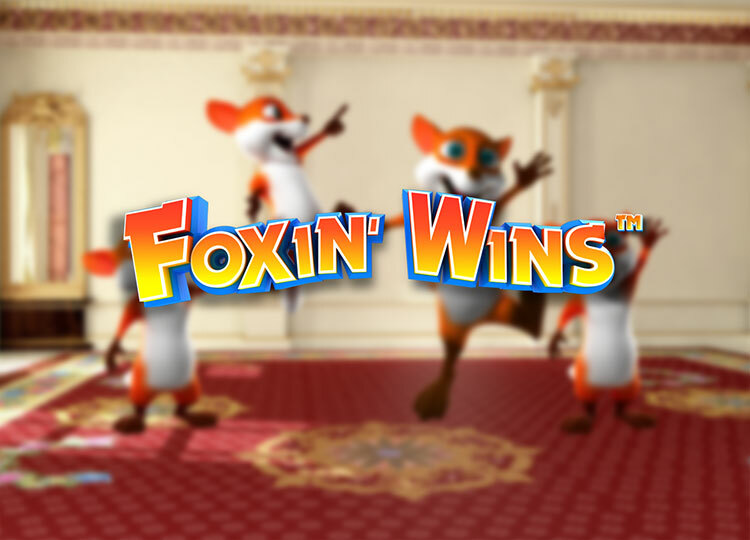 There are numerous free spins and bonuses in Foxin Wins like the Super Bet which comes with an extra stake. With the Fox Pups, you expect to get additional chances of winning as it will regularly appear to convert symbols into wilds. You will be rewarded with ten free games everytime three or more scatters look. What's more is that you will be rewarded with random bonuses after any paid spin round. The two bonus rounds are Leprechaun Shakedown and Fox Funds. There are symbols, and special features in Foxin Wins slot to increase your chances of winning. The symbols comprise of three high paying (mansion, snow globe, expensive car, and the fox himself) and five low paying standard card symbols. The Pot of Gold is the scatter symbol in the game, and its work is to activate the free spins feature. You will receive ten free spins for landing three or more of the scatter symbols, and all your wins will be doubled. You will see the number of Pups increase. Hence, you will have extra wilds on the reels to boost your wins. The richest man, Mr. Fox, has more than enough Fox Funds and is willing to share with all gamers. He (Fox) may show up after every paid spin to add an instant coint to your account. Remember, the Fox Funds feature is randomly triggered. If you are lucky to arrest a Leprechaun, you will unlock plenty of gold coins by shaking him down using the 'Shake Down feature. Using this feature can unlock very many additional bets to boost your ways of winning. The SuperBet feature has three different setting options, Off, 1 and 2. This feature will increase the number of Fox Pups which will convert common symbols to wilds. The Pups will appear on the third reel when the SuperBet feature is turned off if in 1 they look on reels 2,3 and 4, and all reels when it's in 2. To activate the free spins feature, you will have to land at least three or more of the scatter symbols. The good news is that all winnings from the free spins feature are multiplied by two. Lucky players are instantly rewarded with ten free spins to play with. You will receive several random bonuses in the process of your gaming. The random bonus offers in Foxin Wins are Leprechaun Shake Down and Fox Funds. In the Gamble feature, you will have two colors to choose the right suit and or the color of a face-down card. The winner's betting amount will be doubled, tripled or quadrupled. NextGen Gaming software developers have earned a reputation for releasing optimized games which can be played across different devices. Foxin Wins slots is fully optimized with the cutting edge technology. This enables players to access it on devices powered by Android, Windows, and iOS. 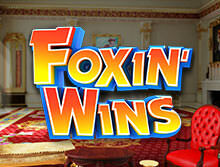 Whether you love lavish lifestyles or not, you will find Foxin Wins video slot a fun game to play. This game is packed with everything you may want in a slot game, including a wide variety of special features and symbols. You stand many chances of winning huge prizes from playing NextGen's sequel.